Designed by Norman Foster of Foster + Partners, Fortaleza Hall added new spirit to the company’s architecture legacy. SC Johnson’s Fortaleza Hall embodies a loving tribute to pioneering company leaders H.F. Johnson, Jr. and Sam Johnson. Opened in 2010, Fortaleza Hall also reflects our commitment to sustainability — both in our buildings and in the many household products that we make. Fortaleza Hall is a celebration of the life-changing 1935 journey to Brazil by H.F. Johnson, Jr., third-generation company leader. Sam Johnson, his son, retraced that adventure six decades later, discovering powerful insights along the way about the power of family. 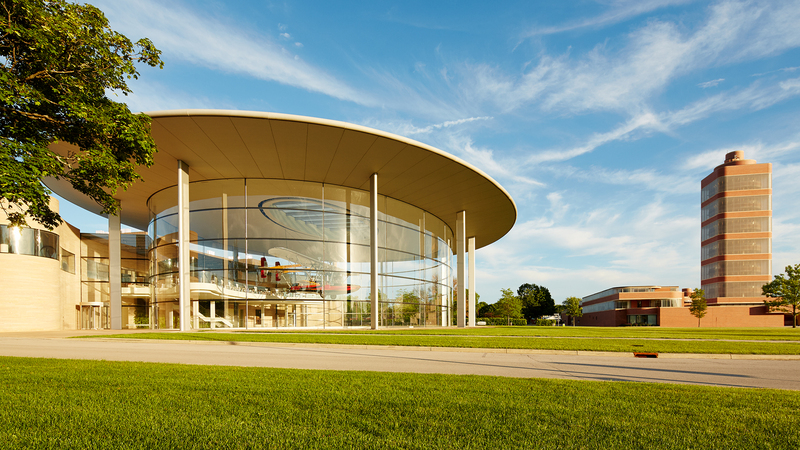 World-renowned architect Norman Foster designed the structure as a tribute to the journeys and the men who led them, and as a contemporary partner to the Frank Lloyd Wright buildings on our campus. It incorporates glass and light, rounded shapes and edges, interplay between interior and exterior, soaring stone columns and innovative design. The 60,000-square-foot facility actually includes two companion buildings: Fortaleza Hall provides a historical context for our company as we continue moving forward into the future. The connected Community Building provides our campus a vibrant social heart, offering a gathering place for employees to meet, share ideas, relax in the cafeteria and work out at the gym. Fortaleza Hall earned a Leadership in Energy and Environmental Design (LEED) Gold Certification from the U.S. Green Building Council in 2011. Soaring at the building's heart is the replica Sikorsky S-38 amphibious plane Sam Johnson flew to Fortaleza, Brazil in 1998. You can feel the impact of Fortaleza Hall’s inspiring design from the moment you spot the building. 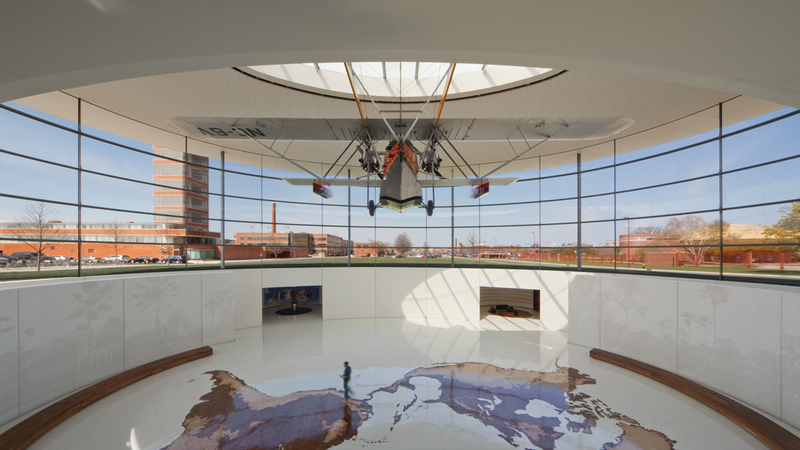 As you look through the facade’s large rounded glass, soaring at the heart of the hall hangs Carnaúba – the replica Sikorsky S-38 plane that Sam Johnson flew on the 1998 expedition from Racine, Wisconsin to Fortaleza, Brazil. Beneath the plane, a mosaic map traces the path from Racine to Fortaleza, and etched concrete murals depict a Brazilian palm forest. The map was created using 19,200 three-inch pieces of four different types of sustainably harvested wood. The murals feature 8,000 square feet of precast white concrete with rasterized images of Brazilian palms. The images were recreated from a photo series captured in the late 1930s and early 1940s. The space comes to life with a soundscape of the sounds of Brazil. Flora, fauna, street life and wildlife combine in a uniquely designed sound experience that syncs with the time of day. It also features one of the first permanent Patrick Blanc-designed vertical garden walls in the U.S. 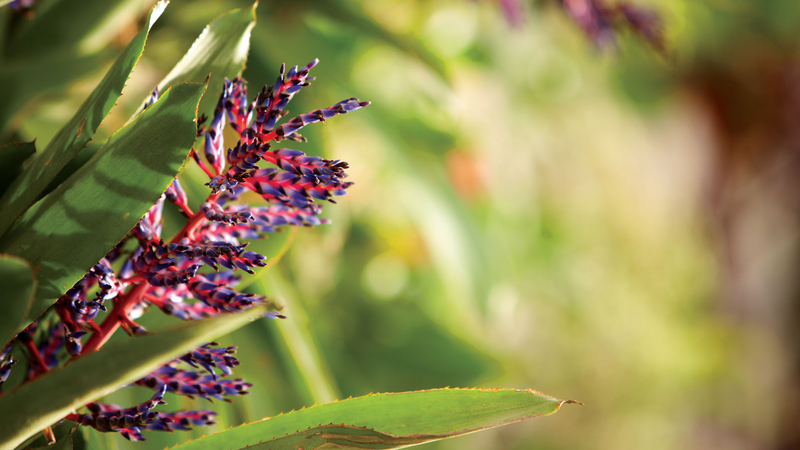 Measuring 49 feet wide by 18 feet high, the garden features 79 species of living plants and nearly 2,500 plants in total. LEFT : The staircases that line Fortaleza Hall include inspiring quotes from H.F. and Sam Johnson. RIGHT : A plant in the 49-foot vertical garden wall in Fortaleza Hall. TOP : The staircases that line Fortaleza Hall include inspiring quotes from H.F. and Sam Johnson. BOTTOM : A plant in the 49-foot vertical garden wall in Fortaleza Hall. Inside Fortaleza Hall, our Legacy Gallery tells stories of the Johnson family leaders, the company’s history, the Carnaúba expeditions to Brazil and more. 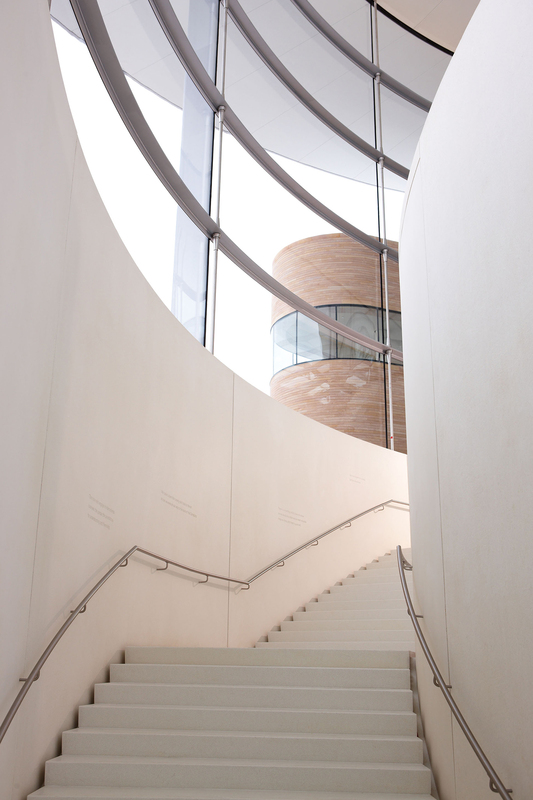 Two grand staircases that line the building are dedicated to H.F. and Sam, with inspiring quotes that honor their influence on the company’s values and growth. Among them is H.F.’s enduring sentiment that “Every community where we operate should be a better place because we are there.” For generations, this philosophy has encouraged philanthropy and volunteerism in our communities around the globe. This realization, which struck Sam during the 1998 expedition to Brazil, is part of the powerful story of the film Carnauba: A Son’s Memoir. It is shown during our free headquarters campus tours. Fortaleza Hall and our Frank Lloyd Wright-designed buildings are part of our public tours. 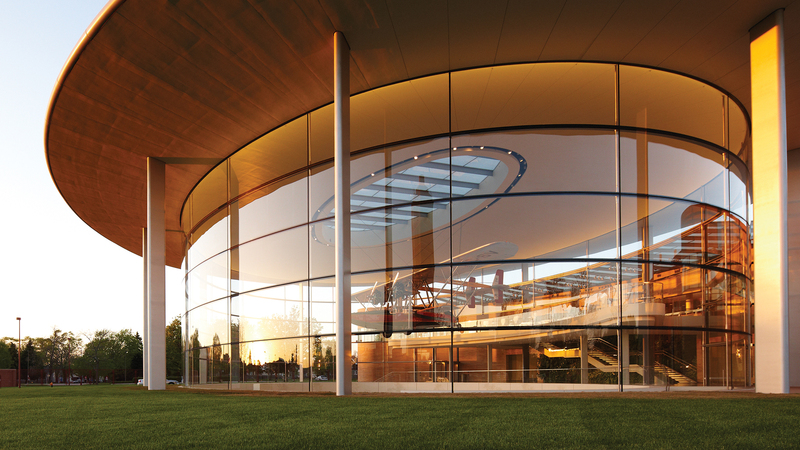 Come see our award-winning architecture for yourself. We offer free public tours that include Fortaleza Hall and our iconic Frank Lloyd Wright-designed buildings. We hope you’ll find both the structures and the stories behind them as inspiring as we do.